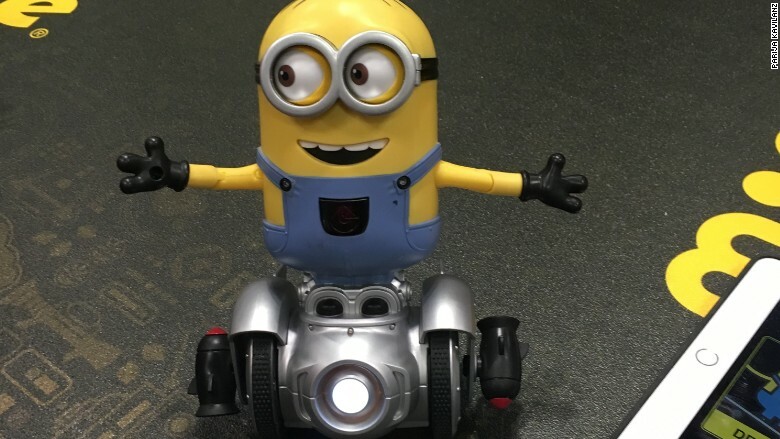 Minion MiP Turbo Dave is wacky, mischievous and completely at your mercy. The new Minion character rolls back and forth, spins around, and dashes forward and backward in response to hand gestures. On its own, it can roam free all over the room. You can also control the toy with an app, giving it paths to navigate. Turbo Dave comes with a coding platform that lets kids program it to do different tasks. The toy, from WowWee, is priced at $80 and available in May.